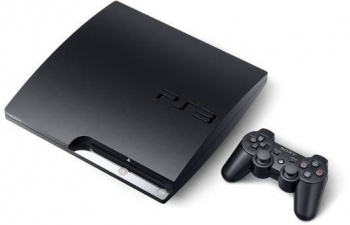 The recently sued programming whizzes of the PS3 hacking scene have made their responses to Sony's lawsuit. PlayStation 3 hackers have made some fairly significant progress lately, prompting Sony to target many of them with a lawsuit. According to the responses by the group known as fail0verflow and George "GeoHot" Hotz, Sony doesn't have a leg to stand on. GeoHot and fail0verflow both point out in their responses that they don't condone piracy or copyright infringement. Hotz told the BBC that he is a "firm believer in digital rights," while pointing out he's always had a message on his website saying he doesn't condone piracy. "I would expect a company that prides itself on intellectual property to be well versed in the provisions of the law, so I am disappointed in Sony's current action," Hotz added. Hotz also says he's "comfortable" that Sony won't be victorious in the lawsuit, and his lawyer feels the same way. Hotz's attorney believes that Sony isn't attempting to protect its intellectual property, but trying to send a message that "attempting to use any hardware it manufacturers in a way it does not deem appropriate will result in harsh legal consequences, irrespective of any legal basis or authority for such action." In a court filing, he also questioned the lawsuit's west coast proceedings when Hotz lives in New Jersey, Sony's allegation that Hotz was bound by the PlayStation Network's terms of service when Hotz put in writing that he never signed up, and denied that Hotz ever profited from his actions despite Sony's claims to the contrary. Fail0verflow evidently responded by reiterating what the group has made clear in the past. "Our exclusive goal was, is, and always has been to get OtherOS back," the group said, referring to a function of the PS3 that allowed separate operating systems to be installed, which was removed last May. Fail0verflow's members also emphasized that they have "never condoned, supported, approved of or encouraged videogame piracy." The most similar case to this appears to be when Apple went up against hackers freeing the iPhone from its bonds, or "jailbreaking" it, which was declared legal. If Sony's case against the hackers goes all the way, it may face a similar judgment.